Many of the runners I train have lofty goals, like qualifying for the Boston Marathon or continuing to set a personal record in races from 5K to the marathon. Success is measured by improved performance over a short period of time, usually with PRs throughout the season. There comes a point, however, when the PRs don't come as easily, or incremental improvements are smaller—for example, improving a marathon time by 30 minutes was easier than whittling the time further by 30 seconds. As we near our physical limitations, further improvement results from a change in running form, philosophy or strategy instead of more miles at a higher intensity. Plateaus in performance usually fall into one of three categories: physical performance ("If it ain't broke, don't fix it"), psychological performance (understanding the type of runner you are or have evolved into), or overtraining. The first category of runners is the one who figures, "If it ain't broke, don't fix it." This runner has consistently improved her time despite developing some poor habits. She has likely improved race times due to a good gene pool and increased training, but has paid little attention to proper running form and techniques. Often, improved performance clouds inefficiencies in running. Even though it seems like "it ain't broke," correcting minor deficiencies can lead to fixes in performance, and even that elusive PR. For this runner, a session with a coach would be helpful to review running form or—better yet—capture a video to analyze and provide objective criteria on how to improve form. A video can show inefficiencies in the runner's gait: body position, footstrike or arm carriage, which can be tweaked a bit. Even very fast runners are surprised at how little inefficiencies affect performance. 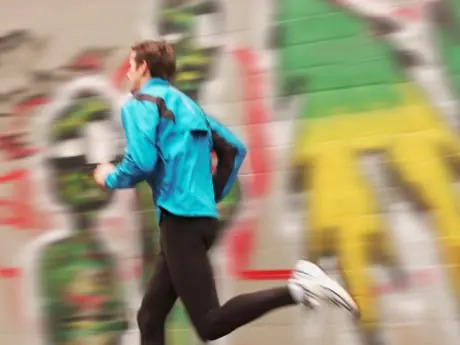 Minor corrections in running form often enhance performance and can help runners achieve a PR. Improved performance also results from an understanding of how we perform best. Most of us have an internal image of the runner we are or want to be for best performance. Yet, when racing, actual performance may not match that image or strategy. We may find that the best results come from a different approach. By experimenting with these different strategies, we often find that our best performance comes from the runner we are, not the runner we think we are. There are three basic types of racers—none inherently bad—but each identifiable. First, the "Prefontaine runner," named after the great American runner Steve Prefontaine, executes a general racing strategy of running full throttle from the starting gun and hanging on throughout the race. This runner relies on guts to outlast other runners and, often, himself. This strategy may work for shorter races, but it's not usually effective for endurance events like a half or full marathon. Brendan Cournane is a USATF and RRCA-certified running coach and motivational speaker based in Chicago. He has completed over 80 marathons, including one in all 50 States. Contact him at Coach@CoachBrendan.com or www.CoachBrendan.com.